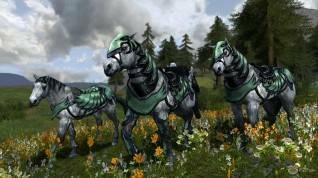 F2Pmeter: Is LOTRO Truly Free-to-Play? This week, Lord of the Rings Online (known as LOTRO too) is the chosen one to face our F2Pmeter. 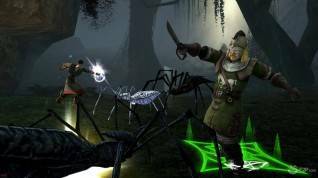 You probably have heard about it (of course you have) but in case you haven’t, LOTRO is a fantasy MMORPG set in the epic world created by famous novelist J. R. R. Tolkien which allows players to live thrilling adventures during which they will meet iconic characters like Bilbo Baggins or Gandalf the Grey. Originally subscription-based, the game added a free-to-play option with a in-game store back in 2010. With its ups and downs, it's features all the trimmings of a full-featured MMO, including several races and classes to choose from, crafting, hobbies, PvE and PvP. As always, games start with a 100% of free-to-play-ness, which will vary depending on the answers to our questions. Let’s start! No. 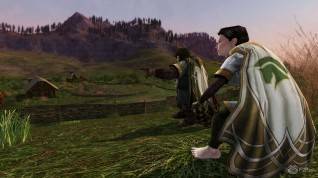 Since LOTRO introduced a free-to-play option in autumn 2010, it’s completely free for everyone to sign up for an account and download the game to begin their adventure following the tracks of Frodo Baggins. Yes (optinal) – -15%. There are options to upgrade your free account to VIP which offers various benefits, including premium currency, access to all character trait slots, bonuses on XP gains, access to all quest packs and skirmishes, additional inventory slots, no currency cap and more. Customers may opt for monthly ($14.99), quarterly ($29.97), half-yearly (59.94) and yearly subscription plans ($99.99). When making any purchase with real-world money, your F2P account is automatically upgraded to Premium which grants an additional character slot, an increased Gold cap as well as the ability to use the auction house for selling items. Yes – -15%. Expansion packs are only available for purchase with real-world money and not even free for subscribers. Prizes range from $9.99 for the first expansion up to $39.99 for the latest. Yes – -5%. Players are able to spend real-world money on expansion packs, the Turbine Points premium currency, quest packs, mounts and more. Yes (but...) – -5%. Despite their promise to only sell "convenience, not advantage" prior to the implementation of the F2P model, Turbine later introduced statted armour to the in-game store which boosts the purchaser’s stats, thus providing them with an advantage over non-paying players. However, the majority of items offered are cosmetics or temporary boosts and F2P gamers moreover have the chance of earning for free in-game. No. LOTRO allows everyone to customise their interface for free; the shop doesn’t offer anything additional for paying users. No (but...) – -5%. Regardless of their account type, everyone has access to all the races available in the game as well as to the seven core classes; the two premium classes, however, are only available to those who purchased the "Mines of Moria" expansion. Yes – -10%. While all players are able to use the auction house for buying items, selling items is reserved to Premium and VIP account holders. Posting an item already involves a small fee, with an additional auctioning fee deducted from the final sale prize. There are extra auction slots available for purchase in order to allow customers to post up to 30 individual auctions at any one time. Yes – -10%. New players start out with a total of 45 inventory slots; additional inventory bags/ slots have to be purchased via the LOTRO store using premium currency. The same applies to the shared storage (bank). No – -15%. While access to the core world of LOTRO is absolutely free, there’s a multitude of instances that have been released with expansions that are only accessible for those who purchased the specific DLC pack. No (but...) – -5%. Concerning the high-end content, the game doesn’t impose any restrictions on non-paying players regarding the core game. However, purchasable DLC packs will provide paying members of the community with much more variety. Yes – +10%. 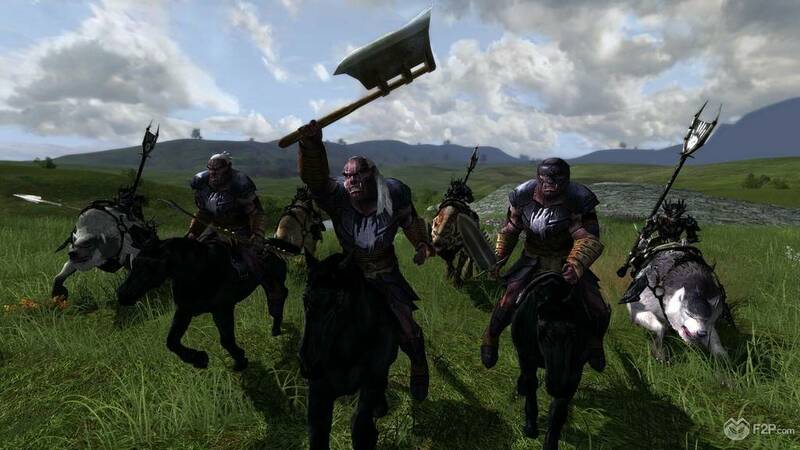 Despite the restrictions F2P accounts are faced with, it still seems possible to enjoy LOTRO without paying anything at all, as it offers a huge amount of free content which takes hundreds of hours to play through, providing lots of fun. Lord of the Rings Online scores a 25% of free-to-play-ness. Judge for yourselves.